Joanna and her Amazing Technicolor Interwebs: This Trip Changed Everything! 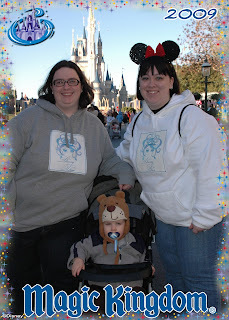 My first trip to Walt Disney World as an adult was in January of 2009, and it changed my life for the better. I stayed at the All-Star Music Resort in a room with my, then, 5 year old niece and 2 year old nephew. (It connected to my sister and brother's-in-law room.) Also joining us were my sister's in-laws: father-in-law, mother-in-law, brother-in-law x 2, sister-in-law, and their 2 kiddos. It was definitely a lot of people to keep up with, but we mostly just met them for meals. I'm getting ahead of myself though. 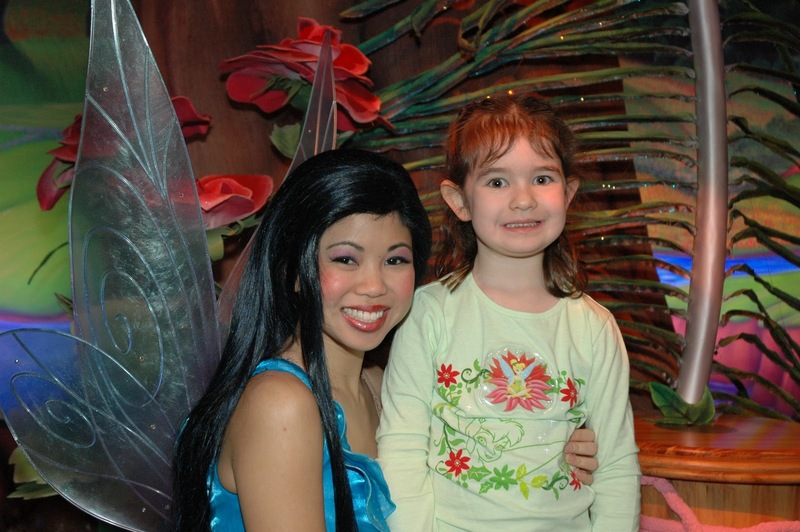 My love of Disney started long before I ever visited a Park, but this trip changed my love into something new. Before I go into my first adult trip, let me tell you about my previous Park experiences. I had been twice before: once as a 4 year old in 1987, and EVERYTHING scared me. I don't remember much from that trip except that Mr. Toad's Wild Ride really freaked me out, and Epcot, all of it, terrified me to the point that my dad had to carry me through the entire park. 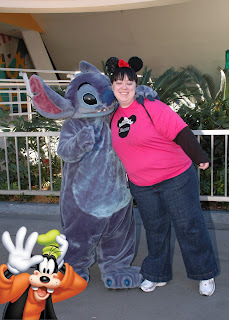 I also visited Walt Disney World with my high school marching band as a Junior in 2000. Oh how different that trip was! The wand over Spaceship Earth was so darn neat, and marching under SSE in a parade was a memory I'll never forget. I wanted to spend more time in World Showcase, and I was so sad to leave. This brings us to January 2009. I was almost 27, and I'd been chomping at the bit to get back to Walt Disney World. My sister said they were going again, and somehow I ended up on the guest list. Immediately I realized I was out of my league when it came to trip planning (which we started almost 6 months out)! I joined the disboards and designed family shirts as a way to countdown to the trip. Basically, though, whatever my sister told me was good for our plans, I went with. After all, she really was the Disney expert! The pre-trip excitement was contagious, and our conversations always drifted back to our trip. When we arrived at the All-Star Music Resort, a cast member welcomed us "home", and I just about cried! It did feel like home! The magic in the air was overwhelming! We unpacked a bit and headed to Magic Kingdom. We had just enough time to walk into MK before dining at Chef Mickey's. My sister and I stayed on Main Street to find me a pair of Minnie Ears and to watch the Castle show while my brother-in-law picked up my niece and literally ran with her to her favorite attraction, It's a Small World, for one ride before dinner! This was yet another time I teared up on this amazing trip. The sight of them rushing off in excitement was so poignant! Dinner at Chef Mickey's was the first we saw of the in-laws. (I'm risking a writing an entire trip report here, I know!) I was blown away by the yumminess of the food and fun we ALL had with the characters. As a little girl, all I wanted to do was meet Minnie Mouse, and I never got to. (Back then there weren't set meet and greet areas like there are now.) Meeting her and getting a picture was such a great memory! It's the trip where we realized I was scared of the characters too and did what I call a "Pic & Run" where I got the pic so quick no one knew I was gone and the character was waving at my dust clouds as I retreated! Hate this picture, but it's pretty darn funny. This trip gave me hope, as a single gal, that I could have vacations without having a "special someone" to make them with. Nothing is sweeter than walking through the Parks and having a little hand sneak in to hold mine! 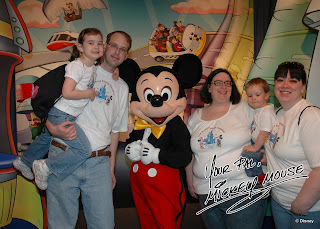 Oh the amazing memories I have with my family thanks to this trip! love the "Pic and Run" technique. I did that too not because I was afraid but becayse typically I am the only adult doing it and I feel sort of silly. Great story, Joanna! I loved reading how that trip really did change anything!